What membership benefits does the Veteran and Military Business Owners Association offer? VAMBOA – Veteran and Military Business Owners Association is a non-profit trade organization offering various membership benefits to its veteran and military business owners. Many veteran owned businesses and military owned businesses find the support they need to succeed as veteran businesses and military businesses through valuable services and networking opportunities provided by VAMBOA. For starters, membership is free to all veteran owned businesses, service disabled veteran owned businesses (SDVOB) and military business owners. A veteran can find the training and help necessary to succeed from VAMBOA. Some other membership benefits include introductions to top corporations that embrace supplier diversity for veteran businesses and military businesses owners, member to member exchanges, referrals and discounts for veteran and military business owners. There are also benefits for potential partners for joint ventures for both military owned businesses and veteran owned businesses as well as franchise opportunities and discounts. Veteran business owners and owners of military businesses are also able to attend valuable conferences and webinars. VAMBOA will be featuring veteran and military business owners in the VAMBOA Veteran and Military Business Owner Directory as well as the VAMBOA Newsletter. Military businesses and veteran businesses registered as members of VAMBOA have the opportunity to form strategic alliances with top corporations and government agencies. VAMBOA will also provide advocacy and the advancement of legislation that will benefit its members. These membership benefits are priceless when it comes to forming strong bonds with other veterans and veteran and military business owners and creating powerful relationships between military owned businesses, veteran owned businesses, and service disabled veteran owned businesses. VAMBOA’s membership benefits are exclusive and even provide major advertising discounts on MilitaryConnection.com – The Go-To Site – for any certified veteran or military owned business and a free listing on its Veteran and Military Business Directory. 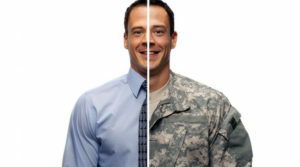 Veterans who own veteran businesses or military owned businesses who register as members can benefit from all types of discounts including travel, car rentals, hotels, office supplies, office equipment, shipping, electronics, accounting and finance tools including QuickBooks, payroll services, insurance, staffing search engine marketing, web design and more! JOIN NOW – Membership is free!